Rep. Will Hurd said that President Donald Trump's proposed border wall is the "most expensive and least effective way" to handle border security Friday on "The View." Hurd's response comes after the president's announcement that he will declare a national emergency to fund his border wall. The Republican congressman represents Texas' 23rd Congressional District, which stretches roughly 820 miles from El Paso to San Antonio -- accounting for more of the southern border than anyone else in the House of Representatives. Hurd said he does not believe there is a national emergency at the border, as President Trump has claimed. 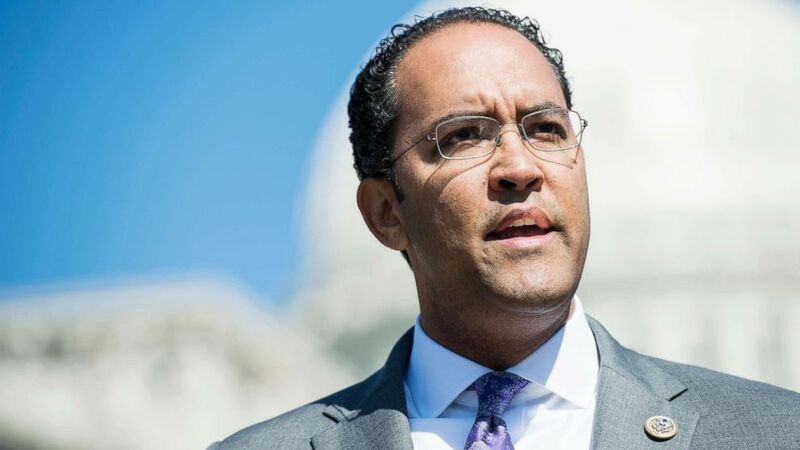 Hurd called for better technology on the border, including drones and radar, instead of what he believes is an unnecessary wall that would stretch 2,000 miles down the border between Mexico and Texas. "What we should be talking about is the strategy on how to defend our border, not one specific tool -- which is the wall," Hurd said. Hurd also addressed the issue of eminent domain for land owners on the border. "A thousand land owners would be impacted," Hurd said. "And guess what? They are going to sue." Eminent domain is the power of the government to purchase private land for public use. While Hurd does believe that a barrier could be valuable in some places along the border, the congressman is advocating for what he describes as a "smart wall," which would include a series of upgrades and new technology to protect the border. "We believe that we have some of the best technology on the border right now, [but] that's not necessarily the case," Hurd said.